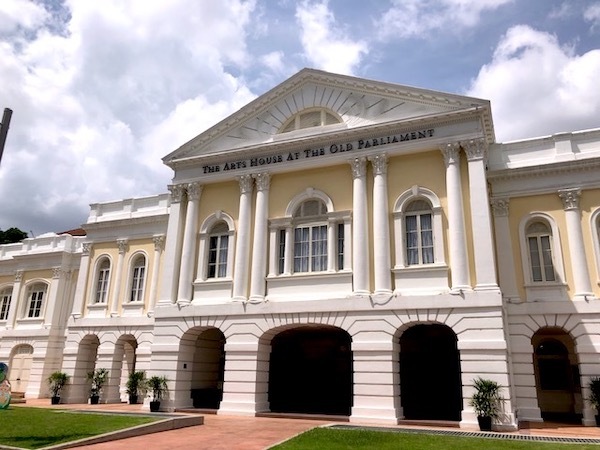 Explores the impressive colonial-era buildings of Singapore’s historic Civic District—including the beautiful Fullerton Building (former General Post Office), the National Gallery (former Supreme Court & City Hall buildings), the Asian Civilisations Museum, the Victoria Concert Hall & Theatre, and the Arts House (former Parliament building). Learn about why, how, and when Sir Stamford Raffles arrived in this sparsely populated island in January 1819 to set up a trading post on behalf of the East India Company. Explore his vision for its future and how he devised an early city plan. You also cross Cavenagh Bridge, the only suspension bridge in Singapore, as you discover the importance of the Singapore River in our country's trading history. After a coffee break at the National Gallery we’ll go to the roof to enjoy spectacular views of the Civic District. We end our visit at the nearby St. Andrew Cathedral.